Your childs baby teeth help set the foundations for their permanent teeth. Legitimate question – for sure – but more and more dentists, orthodontists and parents are working together on the idea of preventive orthodontics, which can save a lot of time and money in the long run. 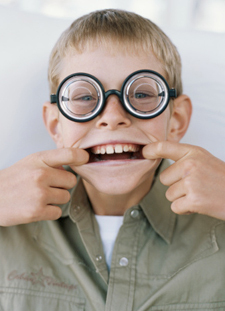 As your child grows, certain problems may become apparent during their regular examination at Douglas E. Oliver, DDS. These tooth problems may include, but are not limited to, crowding or too much space between teeth, overbite, underbite, extra teeth, missing teeth, jaw abnormalities, extracted teeth, and protruding teeth. When, after careful examination of your child, we determine that there are clear indicators that early orthodontic intervention is warranted, we will refer you to an orthodontist for a second opinion and any recommended treatment that we are unable to perform in our office. Why not give us a call and let us examine your child. This will either put your mind at rest or initiate the necessary recommendations for the appropriate action that we might advise that you take, at a time when it is most beneficial to all concerned, particularly to your child!